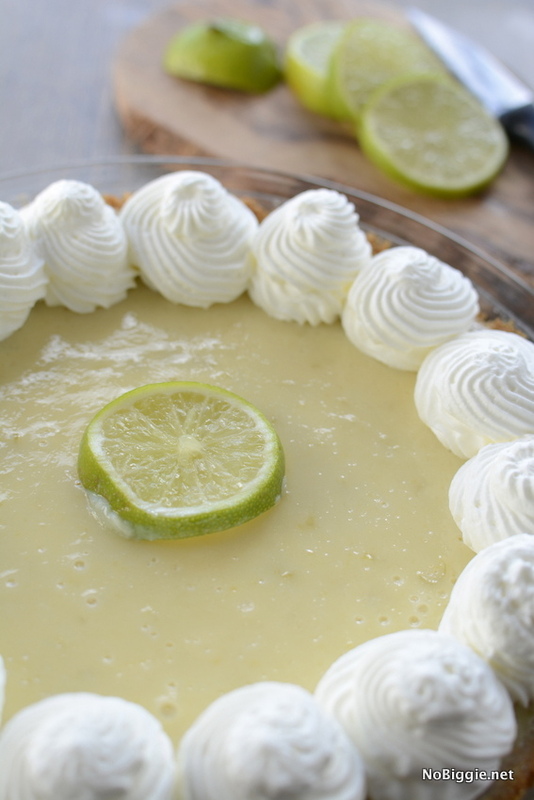 How about a little key lime pie?! 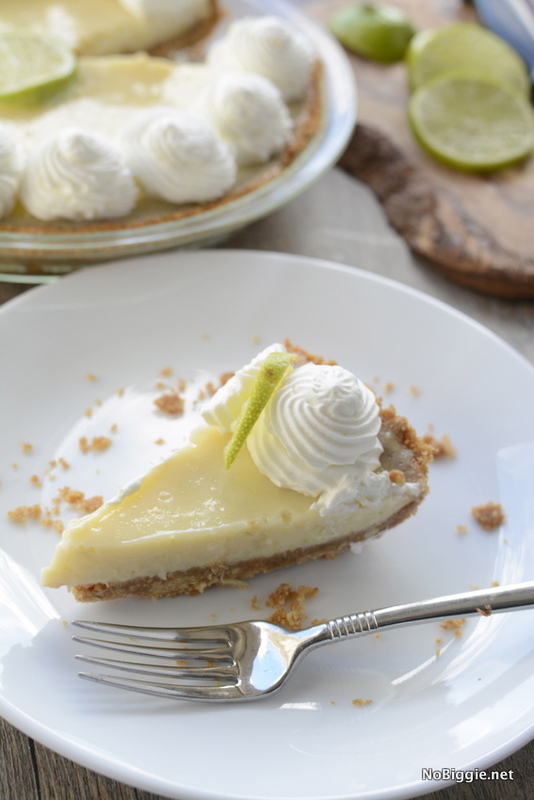 The crust on this key lime pie is amazing…graham cracker and candied toasted almonds amazing. 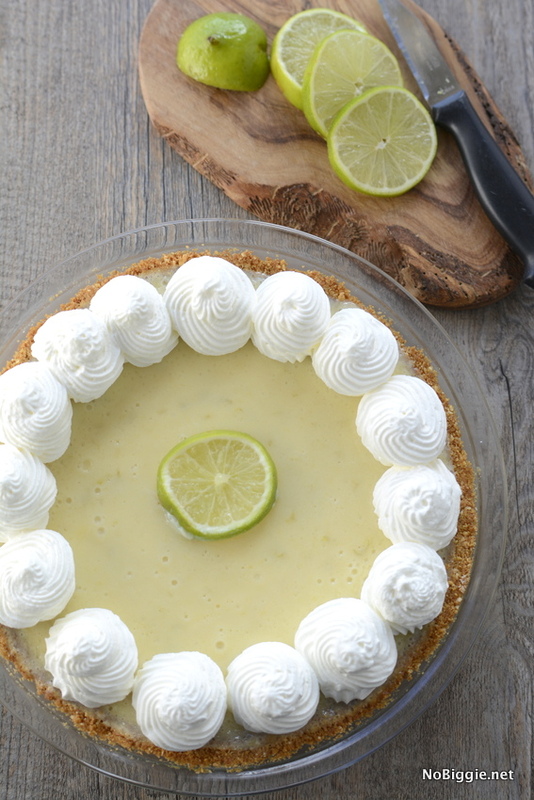 If it’s Thanksgiving, Pi Day or you just really want pie, this Key Lime Pie is reason enough to celebrate. For some, “Pi Day is an annual celebration commemorating the mathematical constant π (pi)”. For others, it’s really just a day to eat PIE! 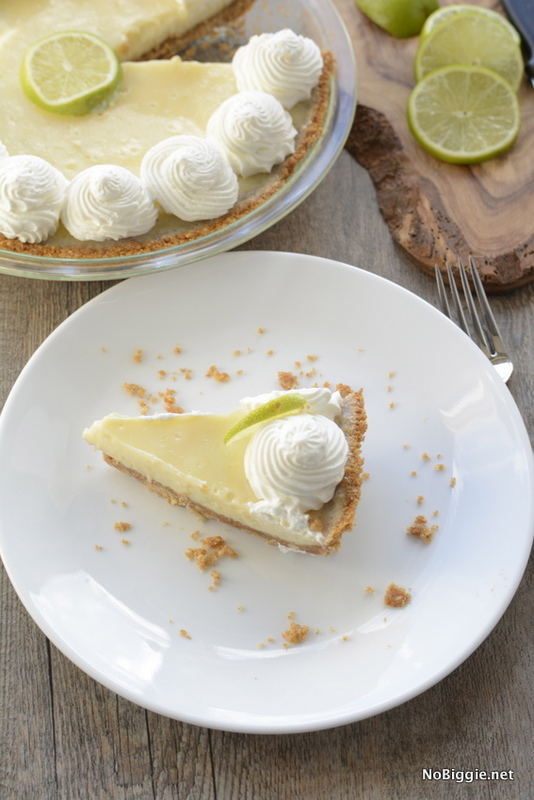 According to wikipedia: Pi Day is observed on March 14 (or 3/14 in the month/day date format), since 3, 1, and 4 are the first three significant digits of π in decimal form. So this pretty much means you need to make pie, and eat pie…don’t you think?! You’ll want to make this beauty today to let it sit in the fridge overnight. ***To make Candied Slivered Almonds these are also great in salads too! To make candied almonds, toast the almonds on a medium dry heat in a saucepan for about 5 minutes, moving them about to avoid burning. Once they're slightly golden brown, add butter. Stir and cover all almonds with the butter as it melts. Add brown sugar and let cook for about 2 minutes on a medium heat. Remove from heat and set aside to cool. For the Crust, combine ingredients and place in the blender to create crumbs. Melt the butter and add to the crumbs. 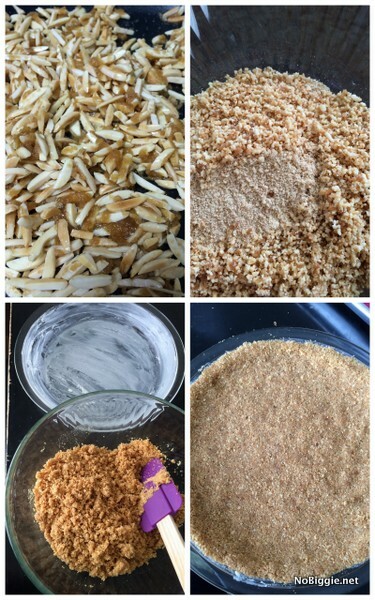 Place the toasted almonds/graham cracker crumbs into your buttered pie plate and press down firmly. Bake at 350 for 5-7 minutes. For the filling, in a medium sized bowl combine all the ingredients and then pour into the baked graham cracker crust. Bake at 350 for 15 minutes. Remove from the oven and let cool for a while before putting it into the fridge to set overnight. For the whipped cream, add the powdered sugar and whip until stiff peaks. 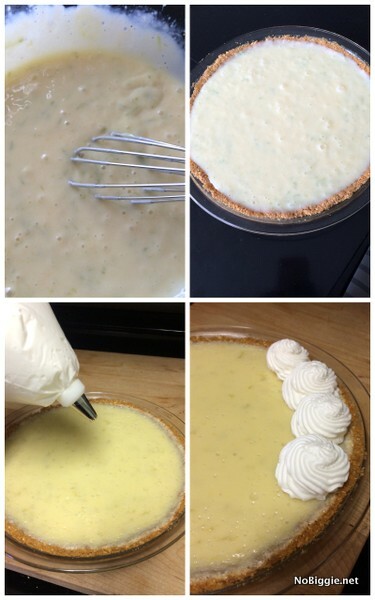 You can put a big dollop of cream in the middle of your pie, or use a wide tip and a ziploc bag to pipe on the swirls of whipped cream. Here’s a look at the ingredient line up. Along with a little step by step of how the crust comes together. The candied toasted almonds add so much to the graham cracker crust. Here’s a tip when choosing limes at the grocery store: lighter colored limes with smoother skin have more juice. 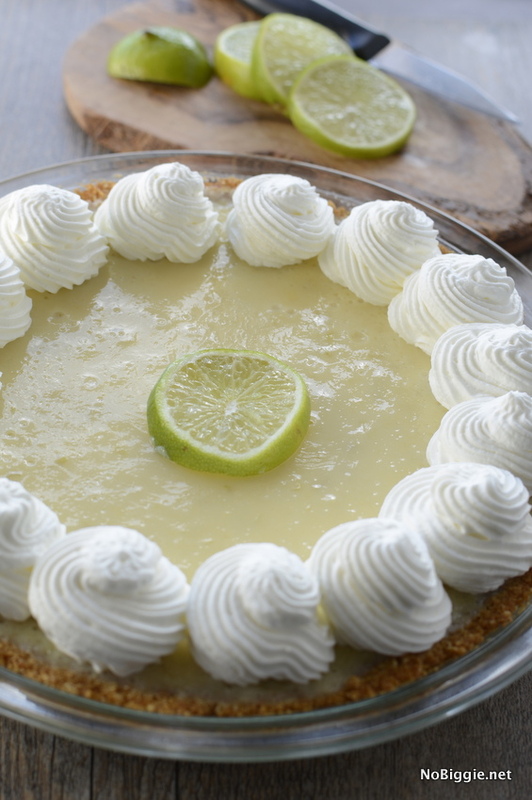 You can use regular limes or key limes for this recipe. Now aren’t you so happy there’s a day dedicated to celebrating pi? It’s totally a day worth celebrating! What a gorgeous pie! 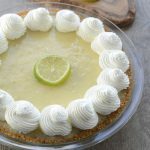 I am one of those who celebrates Pie Day as opposed to Pi Day! (Pi bringing us pie.) YAY!!! Love the candied almonds in the crust. I can practically taste this! Thanks Allie! 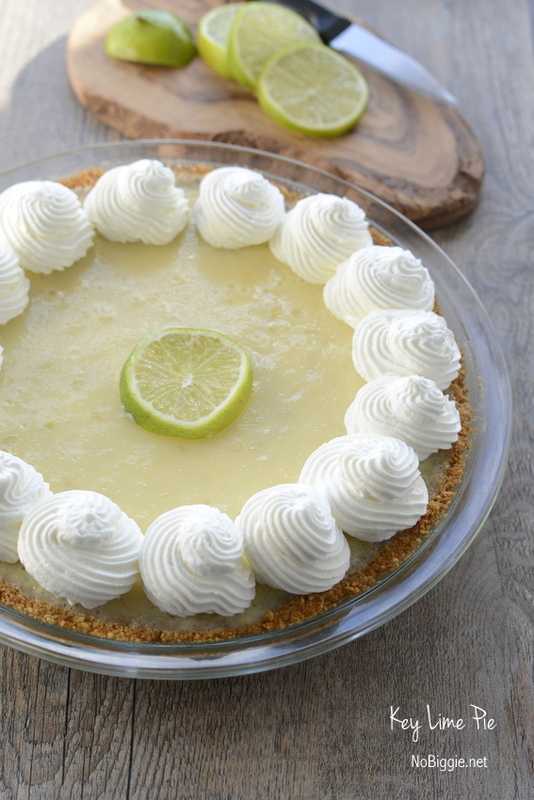 Happy Pie Day to you!! 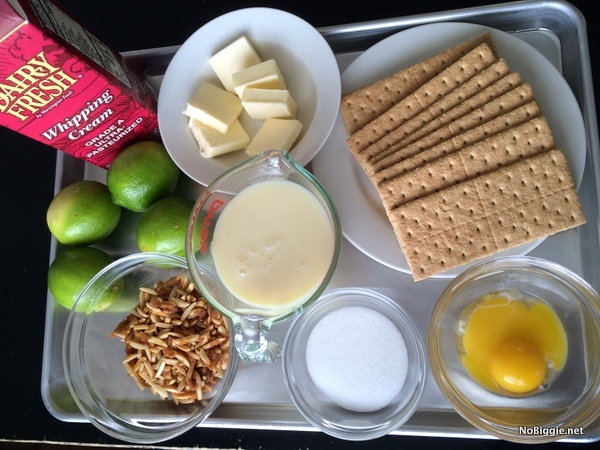 you show a photo of an egg, but I don’t see where it is listed in the ingredients…. I figured it would be with the can milk and juice ..that is why you bake it..Right ? Hi, I apologize that the eggs were missed from the recipe. You need 2 egg yolks for the filling. And yes, this is why it is baked. Hi Sandie! So sorry for the mix up. Yes there is 2 egg yolks in the recipe. Thank you so much for asking so we could get that fixed! That’s a great tip! Thank you!